Jakob Häglsperger aka Kalipo is a busy man. Operating as one-third of German electro-punk band Frittenbude, he brought his solo alias to life in 2014 with Yaruto (ANTIME 010CD/LP). The multi-faceted producer now returns to Audiolith with Wanderer, following the 2015 release of his gorgeous "Mäusemarsch" on the label's electronic-focused Stiff Little Spinners compilation series. 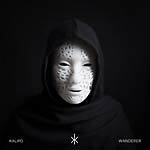 Wanderer is a restless album that sees Kalipo work his way through the deeper ends of four-to-the-floor with a refreshingly experimental approach to production that features defamiliarized samples and analog gear running the show. 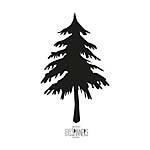 The music has changed since the Berliner's debut album, becoming more propulsive, more physical, and more geared toward the dancefloor. 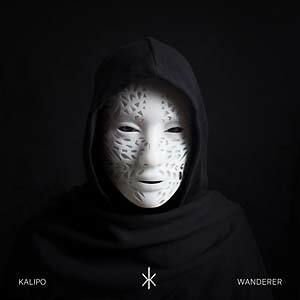 Composed mostly on tour or over extended periods of travelling, Wanderer contains tracks titled according to the particular story of each, referencing places Kalipo has previously played or traveled to. Monolithic opener "Donau Sunrise" sets the tone straight from the start with sanguine arpeggiators that work their way across a mystical backdrop, preceding melancholic themes that infiltrate the cracks of the album. There are also earworms of the highest order, including standout tracks "Banana Garden" (written when Kalipo was stuck in a bamboo hut in the middle of the Thai jungle with a 104-degree fever and nothing but headphones, a sampler, and penicillin for company) and the stunning "Institute of Cottonwool." Wanderer sees Kalipo right in his element. 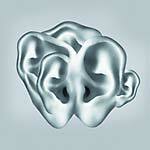 Tension builds and dissolves gracefully throughout, and the artist's audacious approach to production gives his music an authentic and very recognizable feel -- clearly Berlin-influenced but evading any set template.